It’s one thing feeling as though you can take a good picture and are ready to start being paid for your photography and a whole other element being professional enough to run your own photography business. We thought it may be helpful to those of you who are at the start (or even middle) or your photography journey to be able to hear from our experience, the kind of things you may come across and hopefully give you some tips for how to handle potentially tricky situations . I can’t say we’ve always got it right, and we’ve certainly had to learn along the way BUT.. I do feel it allows us to at least share with you, what you can possibly come across and how you can lessen the worry. Sometimes managing people’s expectations and also making sure you look at things from all angles can be life savers. 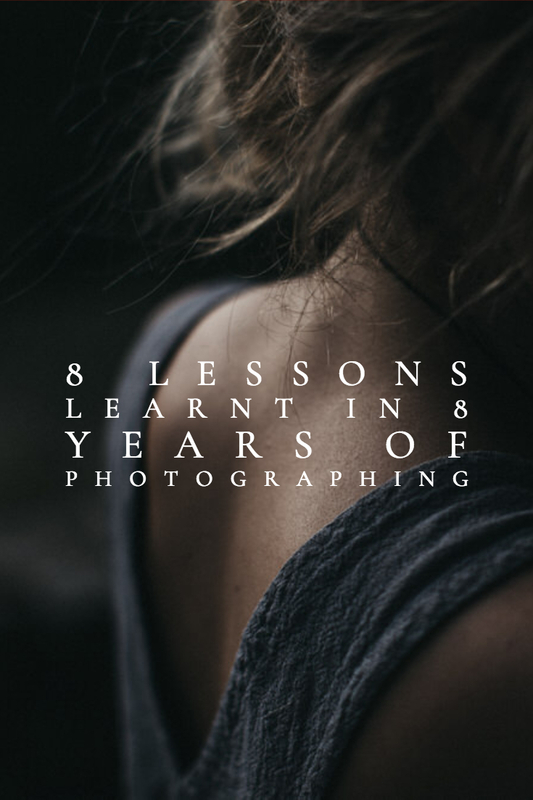 Here’s our 8 best lessons learnt over those 8 years. Be yourself and don’t imitate. Find your core, your voice and use it wisely, open and honestly. Don’t pretend to be something you’re not. (Unless you have an inkling you could be amazing at it, then a bit of ‘fake it till you make it’ is totally fine) Everyone needs a chance to get off the ground. Just don’t wait too long to get started. Start somewhere, anywhere! It will not be perfect, no one will expect you to be perfect, but it’s better to get going that to stand on the spot swirling. Use up your creative energy to get off that standing spot and do something about it. Take a leap of faith and do it with conviction. It may actually be fun! Try to always remember your own voice. In a photograph there is ALWAYS an extra person.. YOU. You are the extra element in a million photographs that makes all the difference. The way you see and feel each individual situation will make your photograph special, and you need to remember that is why they booked you. Try not to cloud your head with what you THINK they would like, and stick to your ideas. See it your way, be kind with them and create. Thinking of taking photographs at someone’s wedding, event or even just a precious moment in their lives can already seem a little daunting, but one of the elements that you don’t often realise until you’re actually booked to shoot, is that half the work comes in helping to manage your clients own stress about the situation. Sure, you will already be wondering if the light will be ok, if they will be comfortable with you, your settings and the style you would like.. but in the end, if you are able to be human, everything will run so much better. Take care of them, make them know you can be trusted and that you understand. Take time out of taking pictures to help them to rearrange the sofa or make a bed or even do up a dress. (I’ve done this sooo many times at weddings!) All of this helps your client to feel comfortable in your presence and in return you will be rewarded with their natural selves. Complaints are terrifying. Especially when they are aimed at your own business and actions. Sometimes it’s not something you could or should need to do anything about, and other times it is indeed that you have made a human mistake. Either way, it’s best to acknowledge and see if there is anything you can do to make it better. Managing people’s expectations can mostly eliminate any small hiccups or upset but if it’s a biggie, and it really matters to your client, then be open to options. Try to speak over the phone and be genuine. Don’t get caught up in Email arguments and hold yourself accountable by being as personable as possible. I know it’s scary and sometimes the last thing you want to do, but in experience, it helps 100%. You may need to re edit images, go back and take photographs you didn’t think we’re required or that you missed, or even re shoot the whole thing. It’s not ideal, but your reputation matters and it’s important to take care of the people who have trusted you to take their picture. Now this isn’t something we really thought about in the beginning, but rather something we both did naturally. I remember going out on some of our early shoots together around 6-7 years ago and always thinking how wonderful it was to see James taking care of each of the models we shot. Always making sure they weren’t too cold, or felt particularly awkward. There have been plenty times when I’ve put together a plate of salad sandwiches or made cups of tea, just to make sure everyone is happy and well. Shooting Weddings has been such an eye opener to the kinds of sensitive situations you can come across. Families that don’t all get along, shy brides, emotional grooms, giddy kids and stressed out mums. Everyone deserves to be treated with respect and heard in the midst of those emotionally charged days. Listen, watch and pay attention. They will be so grateful for your patience and kindness. It’s likely while you are out doing your job that you will come across other businesses. Introduce yourself, be open to their needs too. If you’re lucky they will remember you and tell others. Sometimes it can be a bit upsetting when another business has used your images without permission. In this kind of case, have a conversation about it. They may not have even realised the etiquette and might just need a gentle pointer. On the other hand, if they are blatantly nicking or copying your work without a care in the world. Let them know. It’s your hard work after all! Try not to get caught up in the comparison trap and always go in search for the things that make your heart sing. They don’t need to be directly related to photography, it could just be a hobby or interest or something new. But keep doing it. Try not to let the feeling of needing to ‘work’ tie you to your desk. You are creative and you NEED to be inspired. Sorry to say that it’s unlikely you will find it scrolling through your phone or laptop. If you feel comfortable with what and how you are shooting, try something else. Learn how to shoot in a new way or with a different lens. See things from a different perspective and constantly review your own work. Keep pushing, keep learning and keep questioning why you do this. What is it that drives you to capture these moments? What will you leave behind you with your photographs? I know.. all pretty big questions, but they are worth asking. Try harder, all the time. We really hope that some of the information here and the lessons we’ve learnt along the way may be of use to your in your own photography journey!